A monumental win for Ash Barty and the AFLW league with records broken across the board. What a weekend it has been for Australian women’s sports. In a mere two days, Australian women have broken records and showcased their winning talents with success in both tennis and AFLW crowds. Australia’s Ash Barty yesterday won the Miami Open defeating no. 5 seed Karolina Pliskova. The title comes as she hits a career-high of 15 aces against the Czech, bringing Barty within the world top 10. The 22-year-old now becomes the first Australian women to break into the top 10 since Sam Stosur in 2013. Australian tennis legend Rod Laver took to Twitter to commend the young Australian on her success. Congratulations @ashbar96 – you did it! The @MiamiOpen title and into the top 10 where you belong. More titles await for this humble Aussie, exciting times! Barty now takes home US$1.3 million (AUD$1.83 million) prize money along with adding another title to her name. “It has been a phenomenal two weeks,” Barty told Fox Sports. Back home the Adelaide Crows’ AFLW side took the win for the 2019 AFLW Grand Final. The Adelaide Crows dominated the day with 10 goals and three behinds smashing Carlton 63-18. The final drew record-breaking crowds with the match hitting capacity at Adelaide Oval with 53,034 spectators in attendance. The crowd broke last year’s AFLW attendance record of 41, 975 at Perth’s Optus stadium with Fremantle and Collingwood. This is in contrast to last year’s final at Melbourne’s Ikon Park which attracted an attendance of just 7,083 people due to wet weather conditions. The turnout was the largest in AFLW history and there have only been four AFL matches that have drawn those numbers at Adelaide Oval. Despite attendance being free, the numbers are a promising milestone for women’s sport in Australia. Proudly awarded the best on the ground, Adelaide Crows’ co-captain, Erin Phillips, spoke about her love for the game and her dream to play a final at Adelaide Oval. “To play in front of this crowd means so much to us, and is amazing for women’s footy,” Phillips said in her acceptance speech. Earlier in the match, Phillips was given a standing ovation after being stretchered off with a heartbreaking ACL injury. 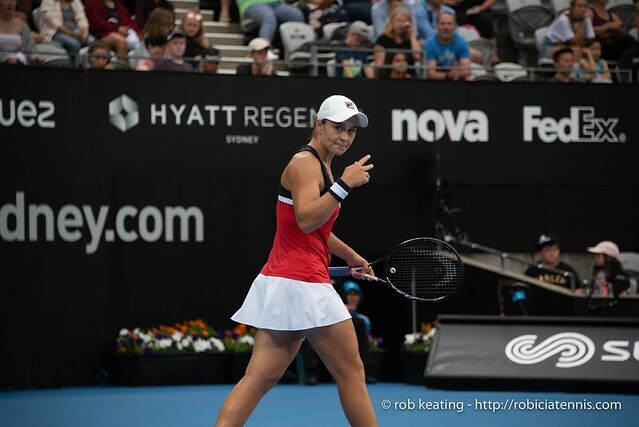 Photo: Sydney International Tennis WTA Premier by Rob Keating available HERE and used under a Creative Commons Attribution. The image has not been modified.